What kind of a guy would go around hiding behind the email name, “Nevada City Guy”? And for what purpose? Well, it’s not Matt Damon or Brad Pitt. Hold onto your bottle of Aqua Velva! “Nevada City Guy” is none other than Todd Juvinall, a grown man in his late 60s who acts like a two-year-old and who has become known for lashing out at many people in our community for years. (And a one-time county supervisor, no less). I cannot think of a more unfit individual to represent our community as “Nevada City Guy” — even on his own terms or whatever his motive. In fact, Todd is an embarrassment to our towns. His loud mouth is responsible for much of the political divisiveness in our towns. He is widely know for his personal attacks, name calling, and verbal bullying going back to his founding of CABPRO, an extreme right wing activist group that has fizzled as the western county becomes more “middle of the road.” Todd routinely picks fights with locals in the community internet forums and insults women such as Hilary Hodge and Marilyn Nyborg. He has attacked me routinely — he likes to dish out the “fat jokes,” for example — because I challenge him and his extremist, sometimes hateful views. It is one reason this blog began — to address the hatefulness from Todd and his political allies who were trying to run our community. Steven Frisch of the Sierra Business Council is another favorite target of Todd. Steve and I don’t hesitate to punch back, as well as others. “Todd Juvinall has been spewing hostility and anger toward his Democratic enemies for years. I have not heard any constructive criticism, interest in listening, dialogue or understanding. I strongly question his motivation and targets. His writing seems very closed to anything outside of his own idea of truth,” as one local, Marilyn Nyborg, wrote in a letter to the editor of The Union. The signed comments in The Union forum go like this: “Once again, Todd Juvinall spews his hate-filled rhetoric for all to see and hear,” wrote local Joan Merriam. “Todd Juvinall … your reply insults women,” writes another, Richard Sciaroni. 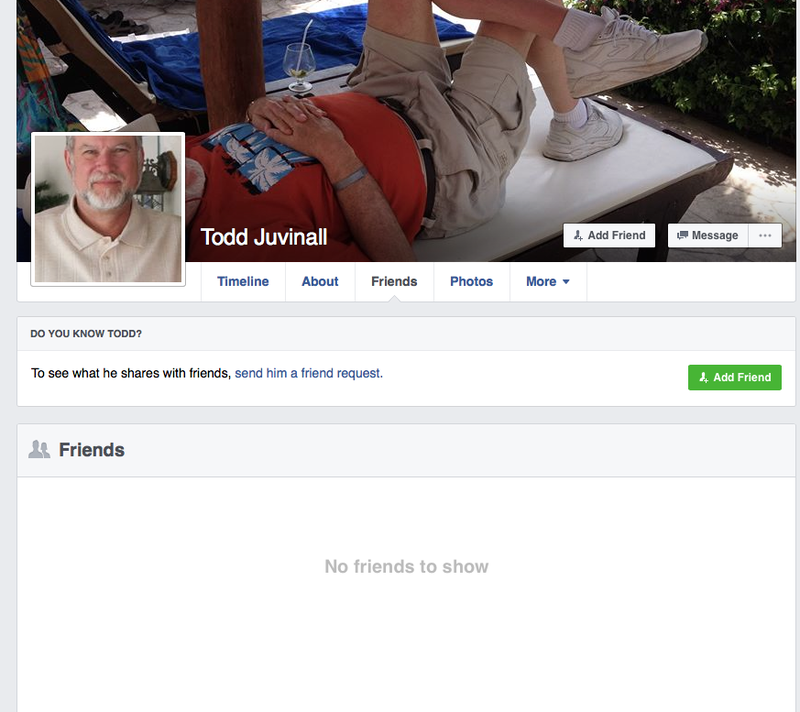 “Todd Juvinall … this last one crossed a line into hate speech,” wrote Mike Mooers. “The Todd has been over the top for at least 25 years,” said Jon Shilling. As the community becomes more “middle of the road,” extreme political activists such as Todd are becoming more vocal — and truly outlandish. I suspect the Trump presidency has emboldened them too. Lately, Todd has become as childish and unhinged as ever, lashing out like a toddler. I guess he (along with a few of his internet trolls, who are too cowardly to sign their real names) want to be heard. The Oxford Tube, an express coach between Oxford and London, is the highest frequency long distance coach route operating in the United Kingdom. It touts 4G Wi-Fi, so I fired up my laptop to catch up with the “news” from home. The Brits know a cesspool when they see one. You can’t make this stuff up! 1. Her name is Kathy Griffin, not Griffith. 3. To be clear, your sentence should read: No one I know of on the right is as deranged as Griffin and her minions ARE ON THE LEFT. “fish” is struggling with this one too. Go figure! “Ambassador Christopher Stevens is buried up here in Grass Valley. Also many veterans of the Civil war, and down in time to the present. All buried Patriot’s are important and Ambassador Stevens is of high importance due to the circumstances of his death. Todd’s blog is a cesspool, and this is just one example. Former County Supervisor and CABPRO founder Todd Juvinall’s statement that he might run again for District 1 Supervisor has led to a parody Facebook page “Draft Todd Juvinall for Supervisor” that is drawing attention in the community. “How about trying to make a difference in someone’s life instead of trying to tear someone down?” the person “Tracy Juvinall” writes. The administrator points to Todd’s own blog as an example of nasty, boorish, bullying, lying, insulting behavior. Internet trolls run rampant; people do not sign their names. I do not know if his daughter reads her dad’s blog. My only observation is that Todd Juvinall reaps what he sows. Longtimers tell me he has a history of this type of behavior. One example is here. I hope Todd decides to run for District 1 Supervisor — if only to confirm his gross misunderstanding of his popularity in our community. I’d like to see how many people wind up voting for Todd and how much money he can raise. Todd is a retired contractor. Will the Nevada County Contractors Association endorse him? Will the Nevada County Republican Central Committee endorse him? Will current Board of Supervisor members endorse him? Will Nevada County natives such as Russ Steele or right-wing political activists such as George Rebane endorse him? I’d also like to see people sign their names in support of him — not anonymous internet trolls who run rampant on his blog. Wonders never cease in the nasty world of western Nevada County politics. I just noticed more out-of-left-field falsehoods on George Rebane’s blog from Todd Juvinall, the former county supervisor and CABPRO founder who is delinquent on his property taxes, according to county records, but still has the hubris to propose a subdivision on his land in Grass Valley, among other deficiencies. And if that’s not enough, Todd is pondering a run for District 1 Supervisor in June. “Any pictures? Posted by: Gregory | 08 December 2015 at 07:16 PM” (This comment is from Gregory Goodknight, among the vocal locals “who reject mainstream climate science” and among the nastiest commenters in the local hard-right blogosphere). For the record, I am sitting at home watching the KCRA news, not attending the Grass Valley City Council meeting. I have not been out all day except for grabbing lunch in Nevada City. And I have plenty of people to confirm that. To make matters worse, The Union routinely runs the commentary of Todd on its Op-Ed page, including as recently as this past weekend. We have a lot of problems in our community and much of it stems from our hard-right politics and activism.